Chris recounts numerous productivity experiments. He then shares his personal insights and tips gleaned from them, and demonstrates how the knowledge can be easily applied into almost every aspect our our lives. The narration is light-hearted and highly expressive (almost conversational), making it highly enjoyable to listen to. His style of writing is also very concise and structured. 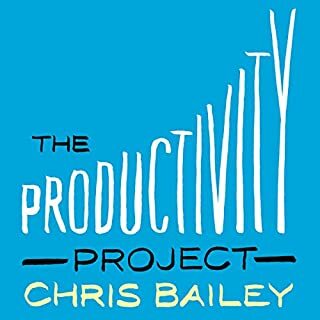 He includes short summaries at the beginning of every chapter, and short activities at the end of most chapters, in order to reiterate and help his you get started on each productivity tip. Overall, I highly recommend the book due to its highly practical, structured and enjoyable characteristics.